A complete pet food for adult dogs with a lower activity level. For overweight dogs or those with a lower activity level. formulated for safe and effective weight management. L-carnitine and increased vitamin A to burn off fat and control weight gain. replenishes the nutrients and vitamins utilised daily. supports a strong, healthy immune system. Promotes healthy teeth by reducing tartar build-up. 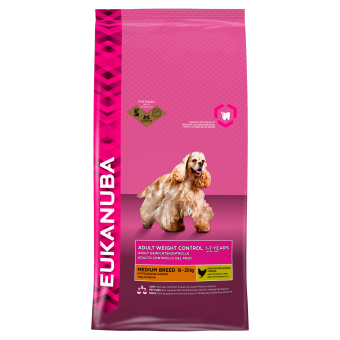 Eukanuba kibbles with a combination of minerals help remove plaque and keep tartar-forming material from depositing on the teeth.